Amanda Qualls is the Director of Human Resources at Ballotpedia, a nonprofit organization that strives to connect people to politics, offering unbiased information on Congress, courts, ballot measures, school boards, state legislatures and more. 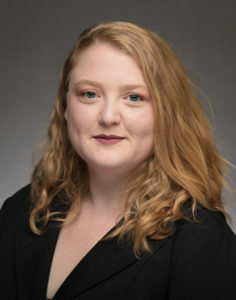 She received her Master of Library Science in July 2013 from Indiana University-Bloomington, and she holds a Bachelor of Arts in Art History with a minor in Russian and Eastern European studies from the University of Notre Dame. She has previously worked in libraries, museums, higher education, and the publishing industry. For additional information, see Amanda’s Resume.